Legend Oaks offers a complete selection of instructional programs designed to help you achieve your improvement goals. 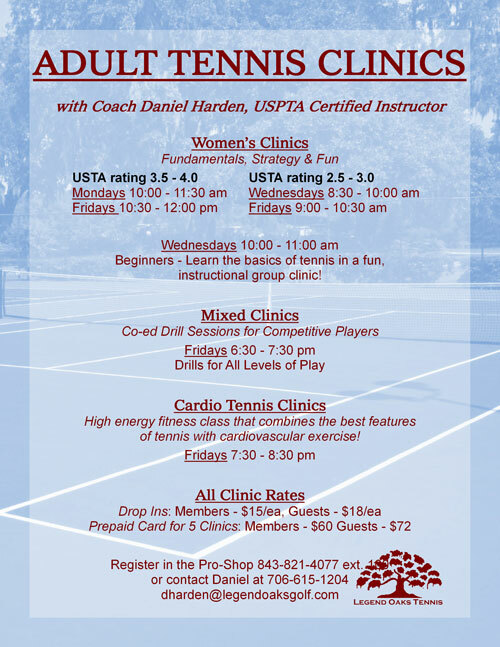 All group & private instruction may be booked through Daniel at (843) 821-4077ext 333.
and Junior development, including private lessons, clinics and Play with the Pro components.. Improve your game with lessons!